Learn about the symptoms of the different types of Mesothelioma. Because malignant mesothelioma is so slow to develop, there are few, if any, recognizable symptoms in the early stages. 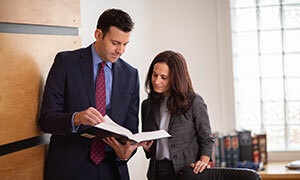 Due to the fact that different parts of the body are affected by the two principal types of mesothelioma, the symptoms for each one are different. A thorough examination coupled with a detailed medical history is the starting point for diagnosis. Your doctor will look for fluid in the chest cavity as a symptom of possible pleural mesothelioma. This fluid sometimes results in a diagnosis of pneumonia. Fluid in the abdominal cavity (Ascites) can be a symptom of peritoneal mesothelioma. Likewise, fluid in the pericardium may be an indicator of pericardial mesothelioma. Any of the fluids described above can be drawn by inserting a needle into the affected area. The fluid can, then, be analyzed for its composition as well as the presence of cancer cells. 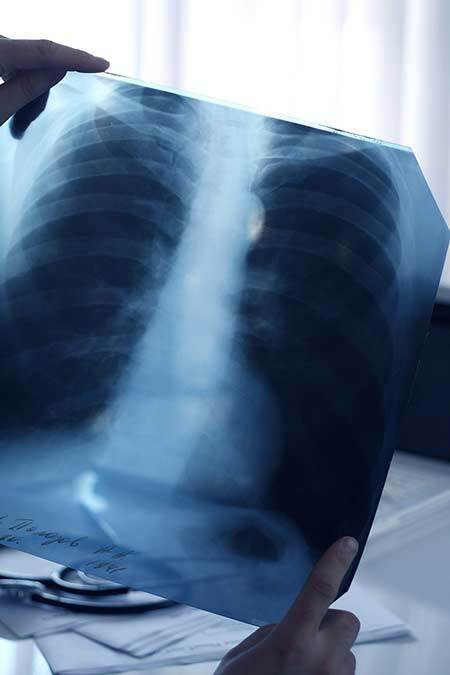 X-rays, CT scans and MRI scans may assist in identifying the presence, location and size of any cancer, including any of the forms of malignant mesothelioma. Tissue may be obtained using a thoracoscope or laparoscope, depending on the part of the body which is affected. These samples are, then, biopsied to determine if a tumor is malignant. A thoracotomy for the chest cavity or laparoscopy for the abdominal cavity involves a more invasive surgical opening. It allows for the removal of a larger sample of the tumor, or the removal of the tumor altogether. Lymph node analysis may be used to distinguish lung cancer from malignant mesothelioma. Chemical analysis of fluids and tumors also may be used to distinguish mesothelioma from other types of cancer.